We recover video from Camcorder and Handycam using HDD (Hard Drive) to save the recorded video. The cameras can give give error messages during recording or playback, or perhaps have been formatted accidentally so all the video clips are empty. We have seen every type of error message from HDD cameras so give our friendly people a call or email to discuss the possibility of recovering video or movie. We can convert Video Files and Transfer to Windows PC, Apple Mac, iPad, iPhone, Smart phone, Tablet for viewing. 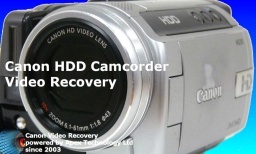 We recover from many types of HD camcorder or HDD handycam - see the list below. E:31:00 is the Sony Handycam's HDD Format Error Message you do not want to see displayed on the LCD screen! Movie Recording disabled usually accompanies the error message - and now your heart sinks! You get the orange icon of a disk with a line through it and cannot access your video clips. The message can occur - usually when you were just about to back the hard drive up to another computer / apple mac / PC. At other times it suddenly appears part way through your movie or while taking footage of a once in a lifetime event. Fear not - we can recover the video from E3100 HDD format error so call or email is now for a quote! JVC's HDD camcorder (Everio) sometimes gives the HDD Error message on the LCD screen. The Everio usually displays this HDD error at critical moments in your filming rather than waiting until you have safely transferred or extracted your video off the camera to a differnt hard disk drive! Do not worry - we have seen it before! Simply call or email for a quote to recover your videos! The Sony Handycam HDD may have had an error or been re-formatted and now shows all video clips have been deleted. Early models did not have a built in USB connector making transfer of files to Windows PC computer or Apple Mac difficult. We can recover video clips from JVC's HDD camcorder (Everio) when they have been accidentally deleted, or hard disk is formatted. We can transfer video files from the camera to your laptop computer. The Everio has a habit of producing HDD error messages - usually at critical moments in your filming - fortunately we can still recover the video or movie. Recovering Video from Canon's Hard disk drive camcorder when they have been accidentally deleted, or hard disk is formatted. This includes High Definition AVCHD (HD) video clips even when the index is missing or deleted. We can usually recover video when the drive has been reformatted and assemble the vifeo clips which may be fragmented, back in their original order. We can also transfer or convert video files from the camera to your laptop computer smart phone iPhone, tablet PC. 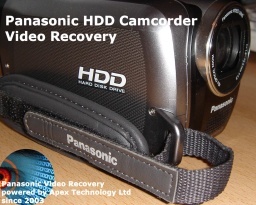 Recover Video from the Panasonic HDD Camcorder when it is shutting down, or has been deleted or re-formatted by accident. We can recover your video clips when the Panasonic HDC handycam attempts to boot but before it can do so it shuts down / switches off suddenly. Click for HDD Video Recovery News. Click for HDD Video Recovery Reviews. flashing / blinking warnings on the lcd display. 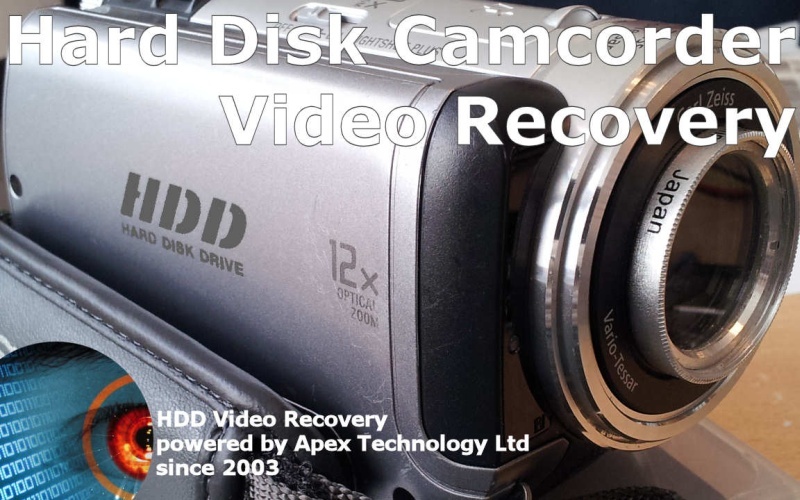 Video recovery from Handycam Camcorder HD HDD Lost Deleted Formatted Movies Clips Disk Drive problems that we recover data from are listed below. 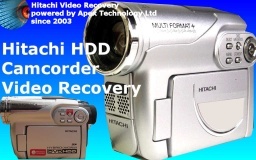 We Recover Video from Hard Disk Drive Handycam Camcorder HDD Camera Lost movie clips error message displayed empty reformatted formatted disc deleted videos HD.